Tonky Frans left Patrik/Sailloft Hamburg after one season and joined the RRD team. The 33 year-old freestyle show man had his World Cup debut 15 years ago and made it on the podium overall in 2009 and definitely was one of the influencers of the new school freestyle. Tonky, who is originally from Bonaire, lives together with his girl friend Sara and their new born daughter Cloë on Lanzarote. The new cooperation with RRD seems to be a good match, as the RRD R&D chief John Skye lives in Gran Canaria. Tonky had his first RRD photo shoot on Fuerteventura, where he also met the new marketing manager Matteo Guazzoni, who interviewed the famous freestyler about his first impressions on the gear, his windsurfing attitude an his goals for 2017. RRD: Tell us something more about your collaboration with RRD? What inspired you to join RRD? Tonky Frans: What attracted me is that the brand is developing really good gear and I believe that I can perform very good on RRD. I am super excited and amped to be part of the RRD team. RRD: How do the boards and sails perform? Tonky Frans: The first time I’ve ridden the RRD TwinTip I felt it was very easy to control, with a really good pop and an amazing spin control. The sail is powerful and stable and super easy and smooth to duck. RRD: You have been competeing for many years on the PWA freestyle tour and were always ranked in the top. What are your goals for the next season? Tonky Frans: My goal is to be world champion. Everything is possible, my goal is to fight to reach a top 3 ranking or better: to be Freestyle World Champion. RRD:What keeps you motivated at this point of your career? RRD: What is windsurfing for you? What keeps you inspired to be better and better? Tonky Frans: Every time I go windsurfing there is something new to work on. This always makes windsurfing interesting to me and makes me wanna go free styling everyday. RRD: Why did you start windsurfing? When did you understand that you could be a champion? Tonky Frans: One day, while I was going fishing, I saw a guy sailing on a board; I thought that I could have used that board to go fishing but at the end the sail and board got my attention. I found out that I could become a champion when I’ve competed against Josh Stone, this was also one of the best moments. 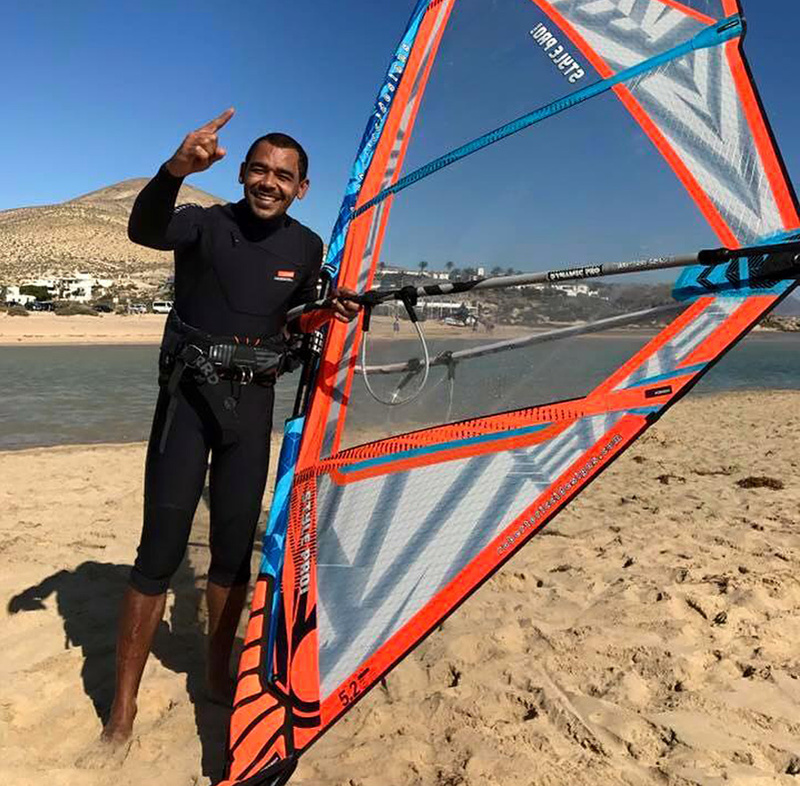 RRD: We know you come from a beautiful island Bonaire and that you have moved to Lanzarote; how is the sailing and training compared to the past? Tonky Frans: There are big differences between the two spots. 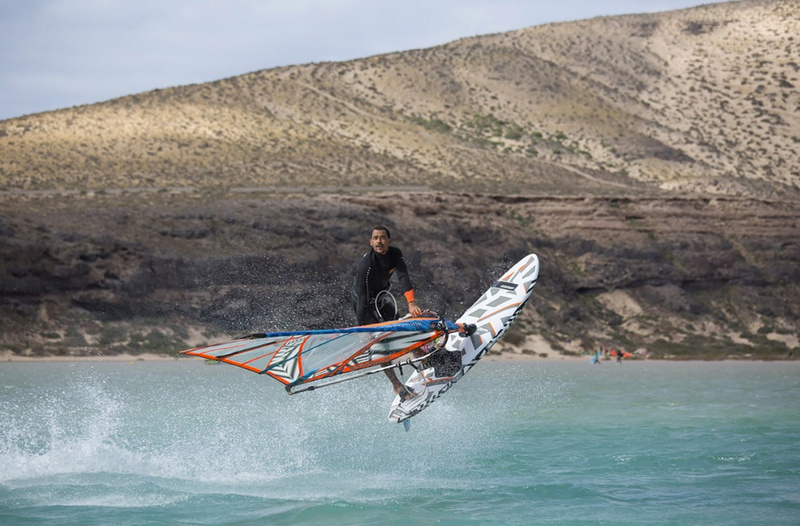 In Bonaire there is flat water while in Lanzarote the conditions are more bump and jump. I love this kind of conditions because I can train big air moves. In Lanzarote I also met my lovely girlfriend, who made the time spent in Lanzarote longer. RRD: What do you suggest to young riders who are going into windsurfing now? Tonky Frans: I suggest them that if they have the dream to become a champion to try harder and harder and that hard work will pay back ….so don’t give up ! RRD: What are your plans for 2017? Tonky Frans: My plans for 2017 are to train as much as possible with the new RRD gear so that I can get used to it better. I will be in Europe to take part in all PWA and EFPT events. I’m curious why Tonky left Patrick/Sailloft. In your interview last year I think Tonky said he developing a new freestyle sail with Sailloft. Did that not work out or something?